The announcement clearly states that Harrison Ford will return in the title role (no Chris Pratt or Bradley Cooper taking over, despite the rumors), Steven Spielberg will be back in the director's chair, and Kathleen Kennedy and Frank Marshall with produce. The one name conspicuous in its absence is creator George Lucas. Lucas, of course, sold Lucasfilm to Disney and retired from making blockbusters, but the idea of a fifth Indiana Jones proceeding with Spielberg but without Lucas is still a jarring one. Will George have any role on the new film? This, of course, goes along with the question of whether Lucas will return in any capacity. Lucas has written the stories for all four previous films, then turned the screenplay over to someone else. If the story isn't coming from George, where is it coming from? Steven Spielberg? Or will it come from another screenwriter, such as Raiders of the Lost Ark scribe Lawrence Kasdan, who has returned to Lucasfilm for Star Wars: The Force Awakens and the upcoming Han Solo film? What about having Kasdan and J.J. Abrams take a crack at it (that's just tossing about crazy ideas. There is no rumor of the sort circulating)? Kingdom of the Crystal Skull was made exactly 19 years after Indiana Jones and the Last Crusade, and was set exactly 19 years later. If the new film follows the same pattern, it will be set 11 years later, and that means 1969. One of the things I will was under appreciated about Crystal Skull was the way it updated the earlier films pulp adventure sensibilities to the circumstances and feel of 1950s pulp. But while nuclear weapons and the red scare still arguably fit the the world of Indiana Jones, it's hard to imagine the fearless archaeologist fighting the Viet Cong or getting involved with the Apollo 11 moon landing. 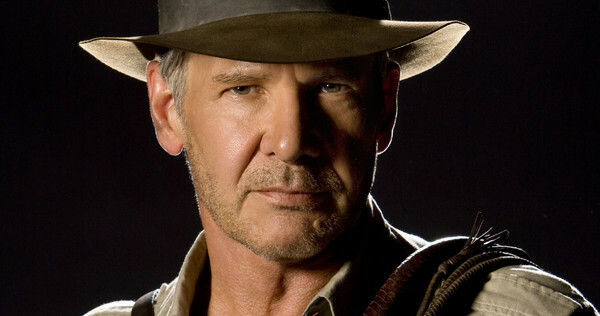 This marks the transition into the modern era, a time which seems less fitting to the heroics of Indiana Jones. It will be interesting to see how this is handled. In 2008 Shia LaBeouf was one of Hollywood's biggest rising stars, but between the lack of love for the character and the somewhat bizarre current state of LaBeouf's career, it's hard to picture him coming back. But if he doesn't, will someone else be there to provide the film with a younger action hero/heroine who can pick up the slack for the aging Ford (who will be 77 when the new film is released)? If so, who? If not, can Harrison still handle the stunts? Well, if he can walk away from crashing a plane on a golf course . . .
A natural question with any new Indiana Jones film is what legendary artifact the intrepid adventurer will be searching for. Atlantis? Noah's Ark? There are a wide array of possibilities l and of course this is something we won't know until much closer to the film's release. Let us know what questions you have about the new film. All will be answered in 2019.